It’s among the worst nightmares of many a student at Mount Royal University — the loss of their computer. Whether it’s caused by hard- ware or software faults, virus or malware attacks, or even physical damage, it’s a sad fact that sometimes your computer will just give up and leave you hanging at the most inopportune moment. This very thing happened to me shortly after reading week, when my two-year-old Lenovo Thinkpad decided it didn’t want to play nice with Windows 7. It could have been caused by errors in the RAM, maybe by corruption on the hard disk, maybe because I ticked off the gods of technology and they came back to spite me. I now had a computer that wouldn’t run Windows. Twelve months later, after frantically rebooting my PC over the course of a weekend and hoping in vain that something in that maze of circuitry would just miraculously fix itself, I finally decided to give Ubuntu a try. It booted, not flawlessly, but it booted, and I had my computer back. And my entire file system —I was saved! I just had to get used to navigating around a new operating system. Should be easy, I thought. Ubuntu is a version of Linux, the third-most-popular desktop operating system “genre” in the world, after the various versions of Microsoft’s Windows and Apple’s Mac OS which most of you are likely familiar with. 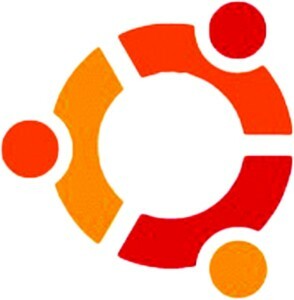 Historically, Ubuntu was the version of Linux that is considered the most “user friendly” — the iteration that one didn’t need a degree in computer sciences to completely understand. From personal experience, I have to question how people without the background made it work before the age of Google. In most cases it did, but I’m still not certain why Twitter continually causes Firefox to crash. However, hiccups aside, I’ve found Ubuntu to be a surprisingly functional system. It has some neat features I haven’t seen in Windows or Mac OS. For example, Firefox installed a native YouTube add-on that allows me to pause, rewind, or fast-forward the current video from the task bar. Many of my regular, go-to programs thankfully appeared on the Ubuntu Software Centre, a handy little app that is a lot like the Mac App Store. Browsing the list of top programs gives you staples like Adobe’s Flash Player, Libre Office, the Chromium fork of Chrome, GIMP, Inkscape, 7-zip and VLC video player. A few other programs required some fancy footwork (and gratuitous Googling), but in the end I’ve managed to get Skype, Dropbox and Google Earth up and running. Opera and Chrome are among a host of other programs also installed — it’s been a bit of an eye-opener to see the amount of support Linux actually gets from some of these major companies. Using Ubuntu feels like a more-intuitive version of OS X — it has a launcher bar like Macs, only the bar itself is a bit more customizable in its functions, and it shows how many windows of each program you have open. Unlike on Macs, I have yet to lose a window on Ubuntu. Most of my favorite Windows keyboard shortcuts have carried across, like alt+tab to switch between open windows, or the Windows key to open up a start menu-like launcher. I’ve found that most of the buttons on my laptop still work the way they were intended, despite not running the operating system they were designed for, and most of my USB peripherals are continuing to chug along as if nothing changed. It hasn’t been a seamless transition to Ubuntu — there are still quirks that frustrate me with the system, and losing access to some of my favorite Windows only programs frustrates me. But at the end of the day, I made the transition to Ubuntu, and I survived.